Richard Forrester                     2416 Edenbrook Dr.
the basement door on the right side under the front steps. the Gettysburg National Military Park  Advisory  Commission. Campaign, is expected to be on the shelves in February 2005.
back to Virginia will be thoroughly  and  closely  examined. and even the inclement weather will be shown to be critical. would last well into the ensuing season. It is against this background that historian James I. "Bud"
University  of  Iowa,  his  friend,  historian  Richard   B.
he will share in his lecture. Americans to  study  the  Civil  War,  had  its  dark  days. finally,   Lee's   retreat   and  surrender  at  Appomattox. 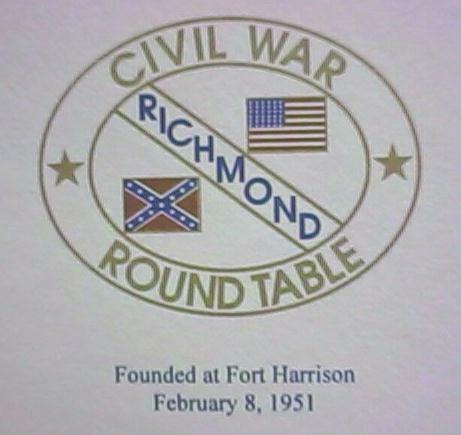 Petersburg, Five Forks, and Appomattox on December 4, 2004.
select the "Think Again" non-credit course catalog. the Bentonville Battlefield on Sunday. Mosby Reunions and glimpses of his post-war life. material, and captured thousands of enemy troops.